As noted on this site previously, one of my favorite types of furniture and accessories to collect and adorn my home is vintage industrial. These lead to a long pursuit for my favorite Toledo chairs to complete my dining table, metal shelves to display books, metal test tube holders for pens, and so on. Most recently, my window shopping passion has been lighting. It is winter and though the days are getting longer, the sun still sets early and I am in need of something to illuminate dark rooms on dark days. I need it to read, I need it to knit, I need it to draw, and I need it to be able to stay awake past 9pm. 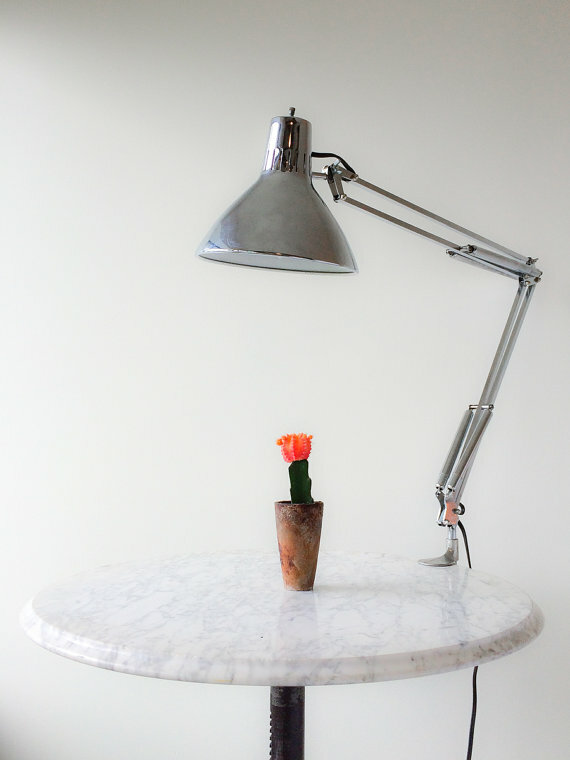 This quest has led to many crushes on both table and floor lamps, which in turn has resulted in this curated post today. 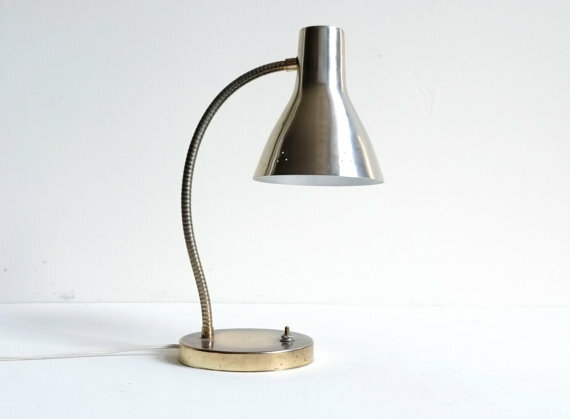 This is a simple post of my favorite chrome or metal table lamps with a bit of a industrial edge. I hope you will enjoy this selection as much as I do. The common threads between them: they can be adjusted for each project, they are shiny in their own right, and beautifully designed.